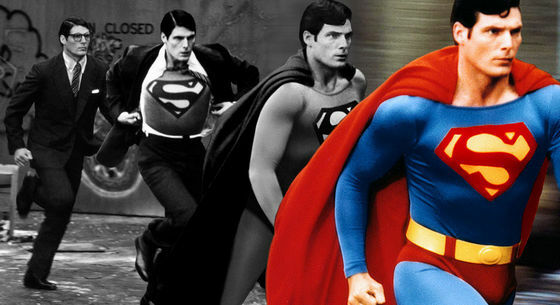 Why is it that no one realises that Clark Kent is actually Superman? It's the oldest joke in the world, isn't it? The most powerful superhero of all time, Superman, has arguably the worst disguise of all time! A sleek application of hair gel and a pair of dowdy glasses successfully turn the Man of Steel, the statuesque saviour of humanity, into Clark Kent, a mild-mannered reporter at the Daily Planet. It’s a façade that even a toddler should be able to see through, yet no one does. Why not? Well, there are various theories, but I’ll go with the one - 'the clothes maketh the man'. I should know. When I walk around in regular clothes without my signature priestly garb, I become invisible. In at least half the encounters with parishioners, I can pass by without any recognition from them. In most cases, a second prolonged look is needed for the connexion to be made. All of this talk about Superman and costumes remind us that whatever storyline associated with the most powerful superhero cannot be any less than one which involves a world that is threatened by cataclysmic destruction. Though today, the First Sunday, is deemed to be the first Sunday in our Liturgical Calendar, we begin our year by talking about the End. Not just the end of the calendar year, but rather the end of the world, the end of time, the end of the universe as we know it. The Church wishes to give us a little look at the final chapter of the great mystery of salvation. Knowing how the story will turn out is very important to us. The gospel, by using a series of three parables, the days of Noah before the Deluge, two men working in the fields and two women grinding at the millstones, and finally the story of a burglar, stresses the suddenness and unexpectedness of this moment. The fundamental message here is the need to be ready at all times. Thieves do not telephone ahead to announce their “visit,” nor will the Son of Man give warning. Therefore, you must always be ready, for the Son of Man is coming at an unexpected hour. We should always be living with this keen awareness that the End may just be a breath or a heartbeat away. But, for most people, including Catholics, it really doesn’t feel this way. The End doesn’t seem to be a big deal at all. Many Catholics have lost the sense of expectancy or urgency, obscured by the tyranny of the ‘now’ – a culture which feeds our need for instant gratification and which is a stranger to the virtues of waiting, patience and silent endurance. It is a world which thinks it is wide awake when it is really sound asleep. The clothing metaphor symbolises the identity and character of its wearer. To put on the Lord Jesus Christ means that the Christian is to be cloaked, clothed, garmented with the character, the disposition, the attitude, the habits and the virtues of Jesus Christ. That is why we are called ‘Christians’ – a Christian is a ‘little Christ’ or ‘Christ-like.’ To put on Christ means throwing off the putrid and tattered garments of sin and darkness, in order that one may adorn oneself with the sturdy armour of light. It’s putting to the death the old self and putting on the new man that is continually being renewed in knowledge. Therefore, the most important duty as the Day of the Lord draws near is to live as children of the light, beautifully adorned in the robes of Christ, who dispels the darkness of sin and death. Unlike Superman who can choose to hide his identity behind the mundane life of Clark Kent, Christians do not have the same option. They cannot live their lives in any way they like except as Christians. We are always in character. Though St Paul obviously intended his clothing metaphor to have a spiritual meaning rather than be seen as a commentary of Christian-compliant dress code, this discussion on clothing oneself with Christ inevitably leads to the discussion of proper dressing for mass. Many often resort to the usual not too Biblical maxim that ‘God judges our hearts, not our appearances’ as an argument to legitimise sloppy and bad dressing during liturgical services. We rant over the self-righteous Pharisees and anachronistic fashionistas who object to our choice or style of dressing. We claim that it boils down to humility and simplicity. Of course, let’s start with the last argument – I believe that we can understand and accept that humility is not something we flaunt and wear on our sleeves like a badge. Similarly, the question of appropriate dressing is never about prudishness and fashion styles. It has everything to do with our clothing being a reflection of our identity; our clothing as sacramental. Remember the age-old definition of a Sacrament, “Outward sign of inward grace.” The external is always seen as a reflection of the internal. So poor, sloppy dressing merely reflects one’s inner attitude towards the Eucharist – it is one which is impoverished, lazy, contemptuously familiar with the sacred, more self-oriented than God-oriented. It’s about our convenience and comfort rather than providing due respect and honour to the One who allowed Himself to be stripped of all honour so that He may adorn us with the glory and beauty of God. And, this is finally what is expected of us Christians at all times. Our constant orientation to the sacred, to the Kingdom of God amidst the mundane activities of human life and relationship. The difference between Noah and his neighbours was not that Noah and his family refrained from eating and drinking and marrying. Presumably, Noah and his family were doing all those things as well. Even more telling, the difference between the two farmers and the two millers is not the farming or the milling. In each case, both people were doing the exact same thing. The difference lies not in the activity but in its orientation. Are the eating and drinking, the marrying, the work of tilling a field or grinding grain, all there is to life? Are these tasks and relationships, important and vital as they are, the very reason we have been created and given life? The answer of St Paul, the answer of the gospel of Matthew, the answer of the incarnated Christ whom we celebrate in Advent, is an unequivocal “NO.” It’s not enough to live, but it is most necessary to live for Christ.